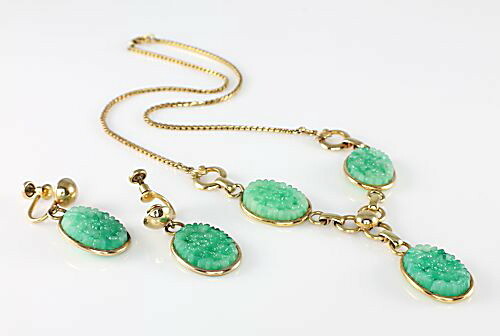 Presented is a gorgeous gold filled pressed jade glass necklace and earrings set marked AMCO 1/20 12K GF. AMCO began manufacturing jewelry in 1919 in Providence, RI. This particular set dates back to the 1950s. 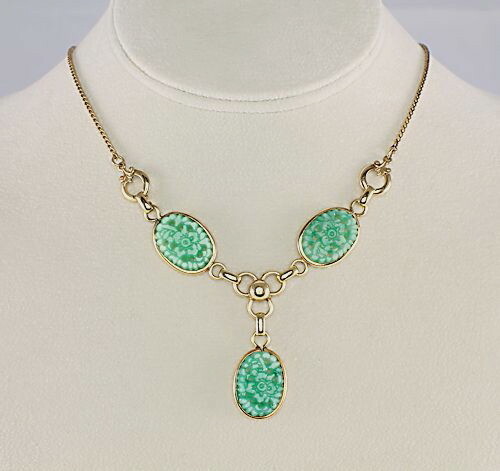 Design is Art Deco inspired featuring Chinese pressed jade glass stones in bezel settings; stones measure 3/4 inches by 1/2 inch. 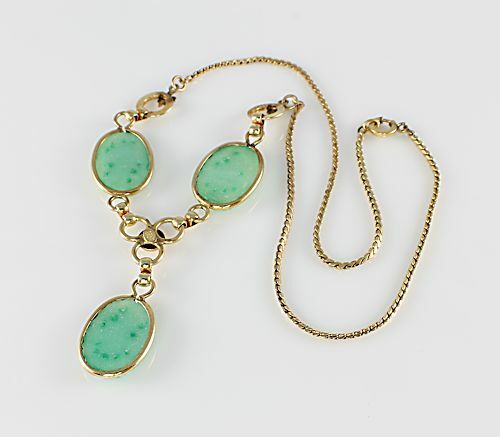 Necklace is 16 1/2 inches long and center drop is 1 1/4 inches long. 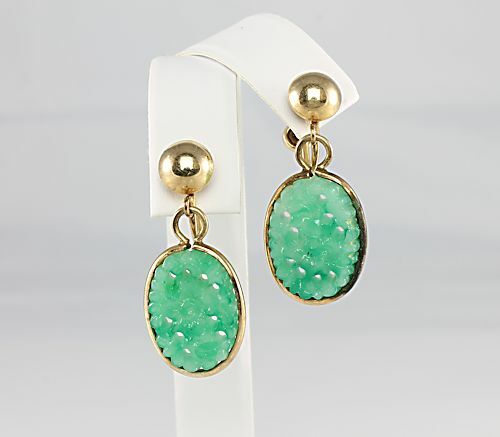 The screwback earrings measure 1 3/8 inches by 9/16 inches. Set is in excellent vintage condition.